Junior Research Fellow, Research Assistant in Higher Advanced Research Research Institute (DIHAR) has invited applications for recruitment of 13 vacant posts. Interested candidates can apply before the deadline by reading the given instructions. The last date for application is 03 December 2018. Candidates for these positions will be selected on the basis of interview and experience. Research AssociatePh. D. degree in Analytical Chemistry / Natural Product Desirable qualification: Experience on handling of fungal / bacterial disease of agricultural crops. Selection Process – Based on Interviews and Experience How to apply – For detailed official notifications and other information, see Employment News paper 10 – 16 November 2018 Page No.9. Apply soon – Junior Research Fellow, Research Assistant in Higher Advanced Research Research Institute (DIHAR) has invited applications for recruitment of 13 vacant posts. Interested candidates can apply before the deadline by reading the given instructions. The last date for application is 03 December 2018. Candidates for these positions will be selected on the basis of interview and experience. DIHAR works under Defence Institute of High Altitude Research of Ministry of Defence. 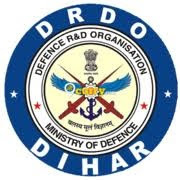 DRDO dedicatedly working towards enhancing self-reliance in Defence Systems and undertakes design & development leading to production of world class weapon systems and equipment in accordance with the expressed needs and the qualitative requirements laid down by the three services.